''I encourage the Chinese to support Pol Pot,'' said Zbigniew Brzezinski, the national security adviser at the time. ''Pol Pot was an abomination. We could never support him, but China could.'' (The New York Times, April 17, 1998 article on pursuit of Khmer Rouge leaders, to try them for genocidal war crimes.) 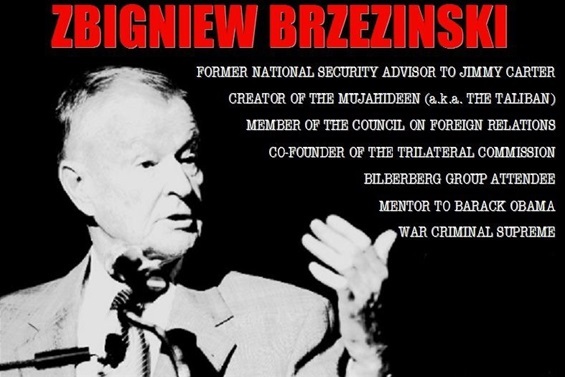 Note: The BRZEZINSKI BACKED, Pol Pot Communist Regime, from 1975-79, brutally murdered 1.7 million of its own people. What is evidently clear, is that US foreign policy is not dictated by morals or ideology, but by opportunistic criminal greed for OTHER nations natural resources and/or strategic territorial value. Who had even heard of the alleged plight of Kuwait, before it was urgently placed #1 on the US (war) agenda by the oil baron Bush family?